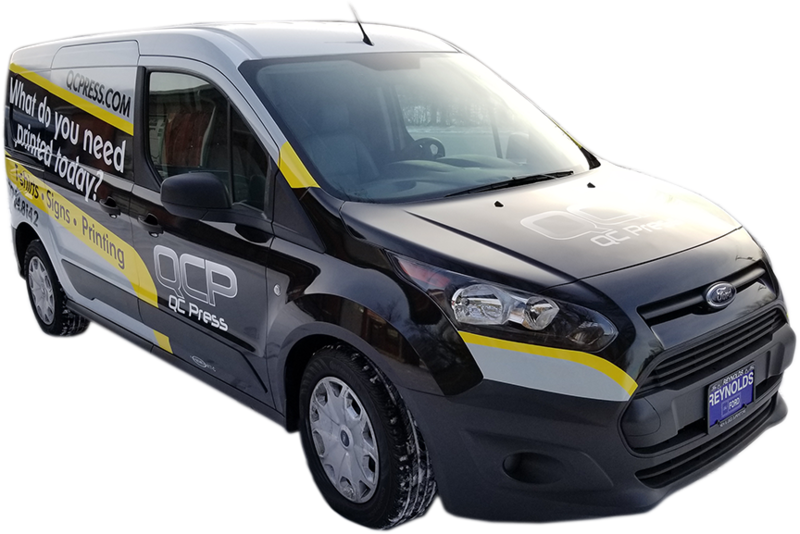 QCPress | What do you need printed today? What do you need printed today? For your business, brand, product, cause, school, club or event! From standard prints to full-custom projects, WE PRINT IT ALL. To find out if we are a good fit for you, tell us about your project! If you have questions, we are a quick call or message away. Our New Online T-Shirt Designer allows you to create your own T-shirts anytime from anywhere! Easily and affordably have your company, team or family’s logo printed onto our quality T-Shirts or Hoodies! 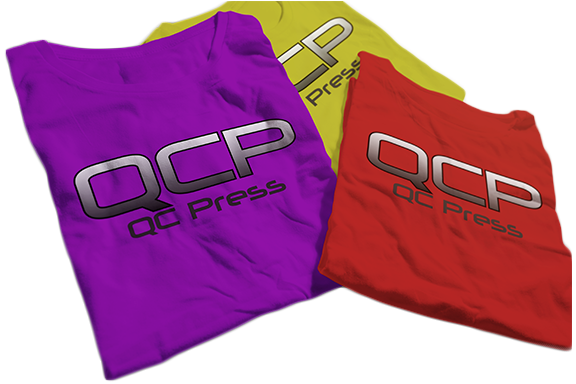 QC Press offers both Direct-to-Garmet Printing and Screen Printing. Orders over 24 t-shirts would be screen printed-saving you money! Let us print and design for you! With over 40 years experience in the QC Area! With both roll-to-roll and direct-to-print options, QC Press offers the most competitive pricing in the Quad City and surrounding areas. Whether you’re searching for a 25 foot banner or political signs, QC Press provides all types of large format print products! Banners-All sizes and double-sided too! As a Family Owned and Operated business for over 40 years, it is especially important to us to support our local community! Donating and support for our local not for profit agencies to name a few. We know what it means to meet deadlines and budgets. Turn to us for those rush or last minute projects, we will get them done for you! You’ll never walk away an unhappy customer at QC Press! QC guarantees you will receive your purchase in a timely and quality manner. Let us know what do you need printed today and we will bring it to your door! Quad Cities and surrounding area in both Illinois and Iowa for over 40 years!